In the span of 24 hours in late June, a series of events shook the retail industry. Kroger gave investors a nasty surprise by slashing its full year profit forecast in anticipation of increased price competition. Lidl opened its first U.S. stores and gave customers and competitors a view of its approach to private brand centric, extreme value retail. Then, in the most significant development of the two decade e-commerce era, Amazon acquired Whole Foods. 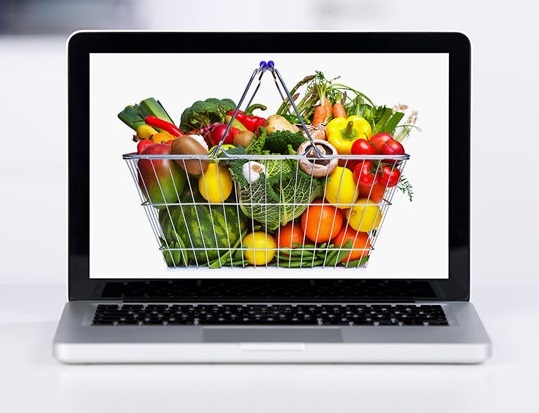 While Kroger’s dour outlook, Lidl’s arrival and Amazon’s mega-deal dominated conversation, lesser developments involving two e-commerce startups highlight an equally large, if somewhat less visible challenge for brands and CPG retailers. Two online-only startups operating under the names Movebutter and Brandless think the current model of selling consumer goods is broken, filled with layers of unnecessary expense and outdated shopping methods. Movebutter and Brandless are both pure-play e-commerce operators, touting value pricing on limited assortments of own brand, high quality, socially conscious products whose minimalist labels are reminiscent of the early days of private label. Chai Mishra co-founded Movebutter in 2015 with Sebastian Werz, both former students at the University of California at Berkeley’s Haas School of Business. Mishra was born in India and helped his father with the family trading business. While working for a farm-to-table coffee company in Germany, Mishra said he realized that the supply chain for coffee (and most other food) was overly complicated and contained too many middlemen. Eventually he moved to America to go to school and work in food distribution before launching Movebutter early this year. Mishra’s perspective on the industry and new approach has found appeal with an interesting collection of investors. The group, disclosed when the company announced a recent funding round includes Y Combinator, Liquid 2 Ventures, a seed-stage VC firm co-founded by Hall of Fame NFL quarterback Joe Montana; Matthew Bellamy of rock band Muse; Kima Ventures; Altair VC; The San Francisco 49ers; First Round Capital’s Dorm Room Fund; The House Fund; Beluga Capital; Fundersclub; and the Marzotto family, owners of Hugo Boss. The story behind how Mishra and Werz came up with the name “Movebutter” speaks to the mission statement of the company. As far as handling product sourcing, food safety, compliance issues and all the related order fulfilment challenges? Mishra has also positioned Movebutter in David vs. Goliath terms, a sort of anti-big food view that has an appeal to certain shopper segements. The company now has customers in all 50 states served by three warehouses strategically located across the country. Everything that Movebutter sells is organic, non-GMO, and fair trade. Mishra characterized the assortment as “Whole Foods quality, but much closer to Trader Joe’s or Safeway pricing.” Mishra said the company has started out with 500 SKUs (for now), and the assortment is about 65% fresh, and 35% non-perishable. Movebutter’s assortment is all private label and that’s a key reason why the retailer is able to offer low prices, according to Mishra. “We are able to drive higher density to our suppliers. At the same scale of customers, we are able to drive a lot more density to suppliers. Our economics are better and food is cheaper for the customer,” Mishra said. The approach described by Mishra and private label emphasis is very similar to how Brandless goes to market. The company also could be described as Dollar Tree meets Trader Joe’s because the limited assortment consists primarily of food and consumable items offered at a single price point. Ahead of the company’s launch planned for mid-July, Grabil said the initial product offering would consist of roughly 200 items spread across the categories of food, beauty, housewares and personal care, all offered at $3 or less. Chief among those “inefficiencies” is removal of what Brandless derides as the brand tax, essentially the costs that are added to national brands distributed through traditional means, promoted and sold through physical stores. “We are very much a brand, but we are trying redefine what that means and debunk the myth that better costs more,” Grabil said. The current CPG distribution model is archaic and the industry is yet to have its Air BnB or Uber moment, a reference to the disruptive effect those companies had on the lodging and taxi industries, according to Grabil. If Brandless has removed inefficiencies it appears to have created others related to fulfillment and convenience, something that could also be said for Movebutter’s approach. For example, in a world where shoppers expect immediacy, be it one hour Amazon Prime delivery or the convenience of click and collect at physical stores, Brandless is betting its customers will accept delayed gratification. For example, at launch Grabil said it will take 24 to 48 hours to process orders and then shipping will take an additional two to three days from facilities located in California and Indiana. In theory, it could take a customer nearly a week to receive an order, but Grabil said that would be a worst-case fulfillment scenario. As is the case with other retailers, shipping is free for shoppers who achieve a minimum order threshold that Grabil declined to disclose. The company is also testing a membership program that lowers the free shipping threshold and increases the company’s societal impact. For example, Brandless donates a meal to Feeding America for every order placed, and that donation increases under the membership model. Legacy retailers selling national brands don’t like hearing their business model referred to as archaic, ancient or broken, but that message may resonate with shoppers eager to try a new approach. That proved to be the case with the meal kit providers who burst onto the retail scene several years ago and caught conventional grocers flatfooted. Now, meal kit providers are siphoning trips and sales away from physical stores with market leader Blue Apron poised to go public this year with sales on a trajectory to surpass $1 billion. Movebutter and Brandless aren’t there yet, but every order they fulfill, is one less trip a shopper makers to their local food retailer. For both companies to be successful they will have to do what all retailers do: generate trial, repeat purchase, increase shopper frequency and transaction sizes to leverage expenses over a broader base of sales to produce profits. Whether online or in store, the fundamentals of growing a retail business are fundamentally the same. In the case of Brandless, those fundamentals are well understood by chief merchant Rachael Vegas. She joined the company in March 2016 after spending the prior ten years in key merchandising roles at Target, the last five of which involved senior leadership of key food and consumable categories. Vegas remained in Minneapolis along with the Brandless merchant team, a logical move considering the Minneapolis area, much like Bentonville or Cincinnatti, is home to many CPG companies’ account teams focused on serving Target, Walmart and Kroger. Sharkey was previously a Venture Partner at Sherpa Capital, Chairman and Global President of BabyCenter, a Johnson and Johnson company. She led AOL’s network programming, social media, and messaging businesses. Prior to AOL, she co-founded iVillage, built Sesame Street Online, and helped create a new home shopping channel for QVC. While Brandless and Movebutter are both aiming to disrupt the grocery sector, they are hardly alone and Mishra offers the industry a wake up call. He contends people are buying fewer groceries and two forces are at play.